hennemusic hennemusic: The Cult premiere video for Hidden City single G.O.A.T. The Cult premiere video for Hidden City single G.O.A.T. Directed by Juan Azulay, the clip was shot in and Miami, FL, including Little Haiti, Liberty City and the Everglades. “The film depicts amateur mixed-martial-arts fighter Orlando Friol alongside his trainer and mentor Diego de Vera of Miami's Knockout Zone Gym,” explains frontman Ian Astbury. “The song's title is an acronym for ‘Greatest Of All Time’. We were tapping into The Cult's identification as cultural outsiders, revealing the mystique of a lone fighter who, through discipline and integrity, rises up against all odds." 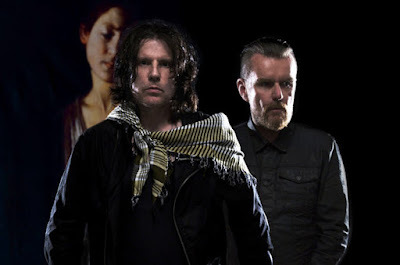 The Cult are currently playing dates on a spring North American tour that wraps up April 16 in Miami, FL.